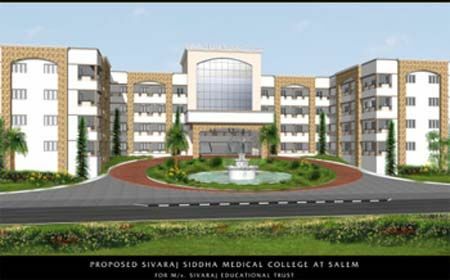 Sivaraj Siddha Medical College was established in the year 2009 and it is affiliated to Tamil Nadu Dr.M.G.R.Medical University and providing quality education and facilities from many years. It has 50 students intake. Siddha system of medicine is an oldest and unique system of medicine in India and called as Tamil Medicine. The word “Siddha” is derived from “Siddhi” which means perfection (or) heavenly bliss (or) an object to be attained. Siddha has been formulated for the benefit of human community by 18 Siddhars. Siddhars are divine personalities of complete perfection in all aspects. According to tradition, the origin of Siddha system of medicine is attributed to the great Siddha Agastiyar. Some of his works are still standard books of medicine and surgery in daily use among the Siddha Medical practitioners.